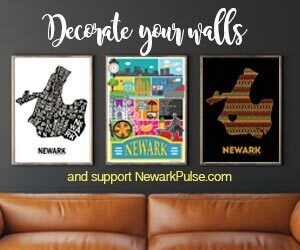 Contrary to what you may find when doing a google search on weddings in Newark - there are actually lots of cool and unique venues to have your wedding with a mix of artsy and antique to traditional restaurant and hotel venues. As surprising as it was to find so many options, it was also surprising to find the lack of customer service in almost all locations. What a shame, or maybe the reason why there aren't more Newark-centric weddings. Newark is home to many institutions that are known throughout the state, but did you know they can be a venue for a wedding? Newark Museum - has a great outdoor garden for ceremony/cocktail hour and indoor hall for the reception. Guests can even stroll through a gallery. NJ PAC - the NJPAC was recently featured in one of those cable wedding shows. They have rooms and theaters that can be rented out. Plus check out Newark Symphony Hall or Art Galleries like Aljira that can be rented. Did you know there was a converted Bank building here in Newark that comes alive on weekends for weddings? It's true... check out the Mezzanine at 744 Broad Street - during the week its an office building. But for weddings, the old bank comes alive - drinks served through the old teller windows and brides touching up in the bank president's office, which is now a cozy bridal suite. Another historic building is the old Mutual Life building on Broadway, which is now a nursing home - they rent it out. And last but not least two of Newark's finest hotels within city limits can host a wedding reception.